This year we are really trying to make Christmas extra special. Maybe it’s because it’s the first year our 3 year old really seems to be getting it, but we are making the most of every festive opportunity. For me this has meant starting to spend a bit more time in the kitchen and doing some festive baking. 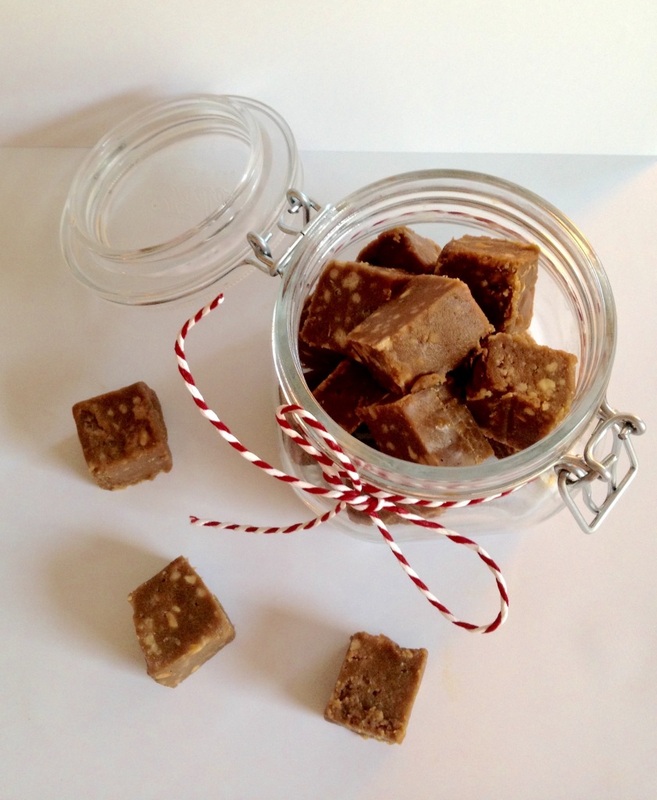 Yesterday I had a go at making something I’ve never made before, a bit of fudge. Peanut butter fudge! 1. Melt the butter in a saucepan over a low heat. 2. Stir in the brown sugar and milk, and bring to the boil for 3-4 minutes without stirring. 3. Remove from the heat and stir in the peanut butter and vanilla seeds. 4. 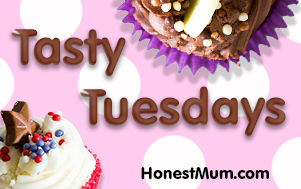 Place the icing sugar in a large bowl and pour the hot mixture on top. Using a wooden spoon, beat until smooth. 5. Pour into a square baking tray, and set aside to cool slightly before placing in the fridge to chill completely (this will probably take overnight). 6. Cut the fudge into squares with a sharp knife and store in an airtight container. Such a simple recipe but so delicious once it’s done. Perfect for a Christmas treat for yourself or a lovely homemade gift for someone when presented in a glass jar with a bit of ribbon to jazz it up. Love peanut butter, love fudge so this is clearly a winner for me! YUM! This sounds great – it’s a recipe we’ll be trying out as a home made gift this year. This sounds amazing – as far as I’m concerned peanut butter is one of the best foodie things EVER. 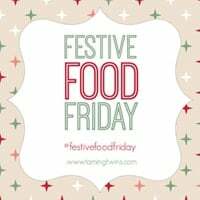 Thanks so much for sharing on #festivefoodfridays. What a lovely festive gift this would make.